just want to reflect briefly on the traditional fist technique. 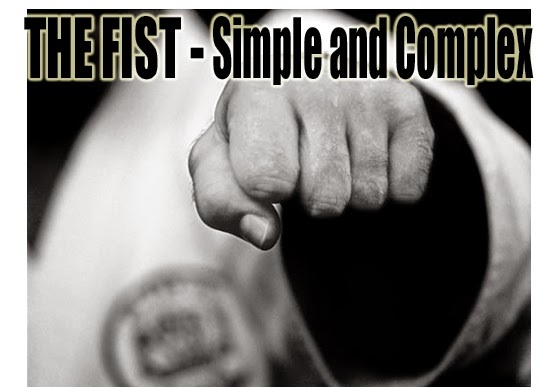 The basic fist – or punch – is a technique taught very early in Karate and much of Kung Fu. As such, it serves as a symbol, both of the complexities, as well as the paradoxes, found in the martial arts. A punch is a punch. How can a technique be less simple? Of course, a punch also involves a stance, the motion of the hips, the trajectory of the blow, when to relax the body and when to tighten the muscles upon impact. And so on. Indeed, it’s an art just to throw a punch correctly, and that art takes lots of practise. Timing and speed are important as well. And breathing. From early on, we learned to inhale as we prepared the punch and exhale as the punch struck its intended target. Further along the learning curve, there appeared the concept of I, Cantonese for intent. I hate to throw a pun your way but once I began exploring intent I suddenly found myself with 50 Shades of Mindfulness…subtle ways to focus one’s mind into a punch. 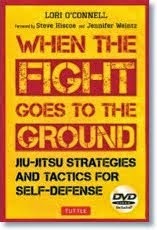 At first, when we were taught to slowly make a fist, I didn’t realize the importance of the lesson, other than making sure I had a tight fist so my hand wouldn’t break on an opponent’s skull. There’s actually more involved. Try this – straighten out your hand. That’s a spear hand or nukite. Slowly begin curling your fingers back toward your palm. Notice what you’ve come up with so far: a hiraken, or fore knuckle strike, or a leopard’s paw strike. Curl your fingers up just a little and you have either a variety of close knuckle strikes found in pressure point training or various approaches to the claw as a weapon. Then finally, the fingers wrap up into a full fist. One fist…so many little variants. So many ways to adapt to distance and necessity. 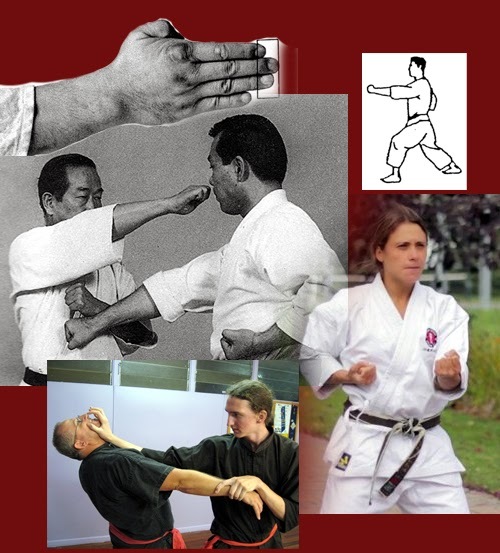 Sensei Monty Guest, the first of O-Sensei Masami Tsuruoka’s Black Belts to be allowed to teach, taught us the three main stages of a basic punch. As the fist starts out, the palm faces upward. Ura-tsuki, close punch. This punch is appropriate when an opponent is breathing down your front. Then the fist begins to turn. Now the thumb side faces upward. Tate-tsuki, vertical punch. Good for close to medium range. And finally, the fist finishes with the palm facing downward. Good for medium to long range. 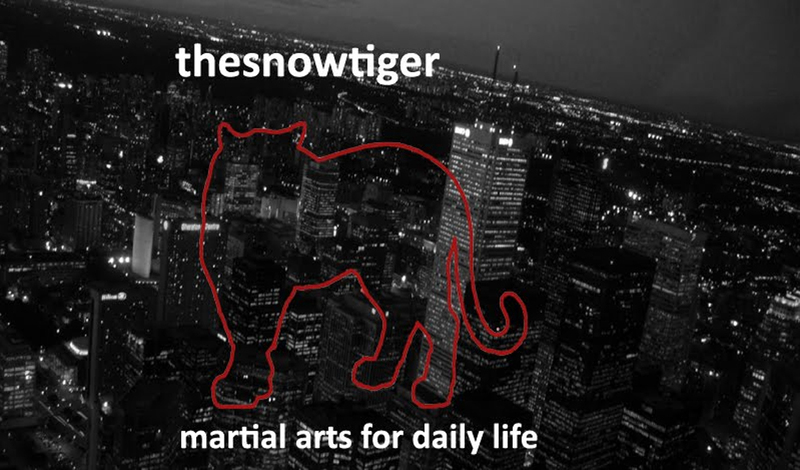 One of the main paradoxes of any martial training is…the simple is difficult and complex; the difficult and complex, in the end, becomes simple.